12 MONTHS NO DEPOSIT INTEREST FREE* Why wait? 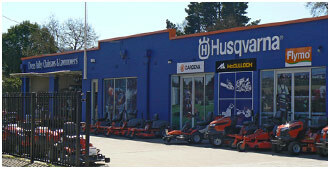 Get your Husqvarna products today. With a Lombard Visa card you can purchase Husqvarna equipment now and pay for it over time – INTEREST FREE*. With easy to manage weekly, fortnightly or monthly repayments, don’t wait, apply now in-store at a participating Husqvarna dealer.